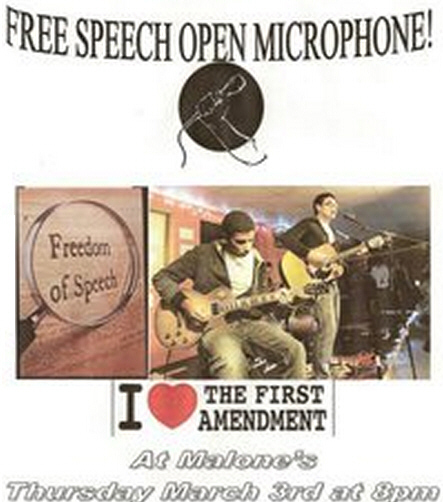 Santa Ana artist Theo Hirsch is hosting a free speech open mic night at Malone’s bar, on Thursday, March 3, from 7:00pm – March 4 at 2 am. Malone’s is located at 604 E. Dyer Rd., in Santa Ana. Last time there were about 25 performers so get there early for sign ups, at 7:30 p.m.
OC Restaurant Week is here again, from Feb. 27 through March 5. This year’s culinary event, the fifth of its kind, includes a wide variety of options, from upscale and fine dining, to casual and family friendly establishments, according to OCInsite. During OC Restaurant Week, the restaurants that are participating will offer special three-course menus, many with a cocktail or signature item at no additional charge. Each restaurant will have the freedom and flexibility to showcase its best offerings by talented chefs who will, no doubt, personalize each menu to reflect their culinary style. Participating restaurants will offer prix-fixe menus within three price categories: lunch for $10, $15 or $20, and dinner for $20, $30 or $40. Guests will have the opportunity to search restaurants by location and price point, as well as make reservations online. Green Lawn Roll Cucumber, Asparagus, Burdock Root Topped with Avocado. Bentley Roll Spicy Tuna, Salmon, Asparagus, Pickled Ginger with Yellow Grape Tomato and Serrano Peppers. 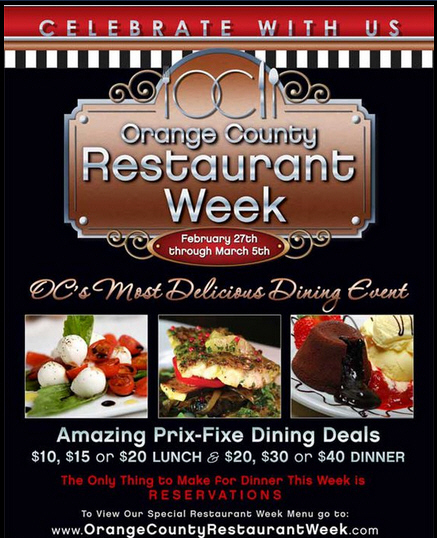 Click here to visit the OC Restaurant Week’s Facebook page. Looking for a great restaurant in Downtown Santa Ana? Click on the logo above or click here! This event will provide resources for immigrants to learn about their rights, the immigration process, and help with the integration into American society. Resources on registering to vote and becoming a citizen- Information on English classes and much more! Please contact Andrew Hausermann to get involved or ask questions. Andrew Hausermann, Community Organizer, OCCCO-PICO, at andrew@occcopico.org, M 714.931.6041, www.occcopico.org. 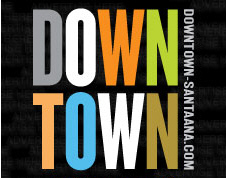 Have you had a chance to ride the Downtown Santa Ana Lunch Express Trolley Bus? If you haven’t, you’re missing out! You can hop on the FREE trolley and head to Downtown for an express lunch. 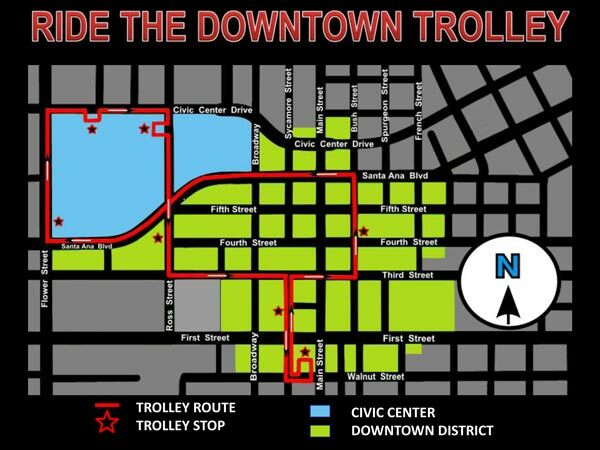 That’s right, from the Civic Center to the Artist Village, Original Mike’s and more, the trolley is heading to all your favorite establishments. Every Monday and Tuesday from 11AM-2PM. The Lunch Express Trolley Bus is operated and funded by Downtown, Inc.
Click here to look at a directory of all the restaurants in Downtown Santa Ana. Click here to download the Trolley map and see a list of the participating merchants. 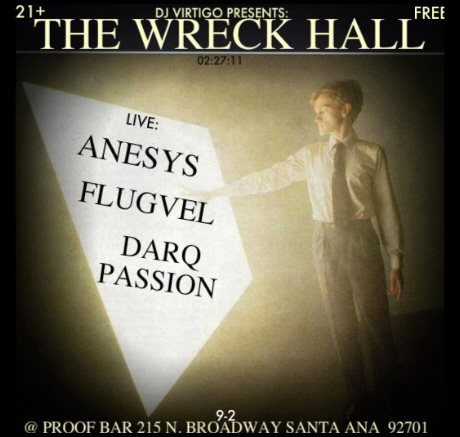 Tonight, Feb. 27, at the Proof Bar – live performances at the Wreck Hall, featuring: Anesys, Flugvel and Darq Passion, starting at 9 pm, to 2 am. Free. 21 and over. If you are a fan of Spanish rock and the Smiths, this show is for you! The Proof Bar is located at 215 N Broadway, in Downtown Santa Ana. WHAT: Second Harvest Food Bank of Orange County joins with the Boys & Girls Club of Santa Ana to celebrate its latest Kids Cafe opening. Kids Cafe provides fresh fruits and vegetables, protein and dairy options to children who may not otherwise have access to nutritious foods. The Kids Cafe program bridges the gap between meals and provides healthy choices to underserved children, as well as nutrition education activities. The Boys & Girls Club of Santa Ana provides academic, physical fitness and enrichment programs to over 1,000 kids per day, including cooking and nutrition courses. Kids Cafe will tremendously enhance the programs already being run at the Club. WHEN: Thursday, March 3, 2011 at 3:00 p.m.
WHY: Approximately one in four children in Orange County is at risk of going hungry. Nearly half of public school kids rely on reduced or free school lunches for their major source of nutrition. WHO: Second Harvest Food Bank of Orange County and the Boys & Girls Club of Santa Ana. ABOUT: Since 2000, Kids Cafes have been providing healthy after-school snacks, summer meals and nutrition education to low-income children throughout Orange County. Second Harvest Food Bank partners with Boys & Girls Clubs, community centers, and other homework help centers within walking distance of underserved schools. The Boys & Girls Club of Santa Ana provides a positive, healthy learning environment for children in one of the most disadvantaged communities in the United States. Since 1954, the Club has brought stability to neighborhoods that have seen drugs, teen pregnancy and gang-related violence rock their foundations. With each year that passes, the Club curriculum takes progressively longer strides toward strengthening the academic aptitude, the physical fitness, the health awareness and the career ambitions of Santa Ana’s children, preparing them to graduate high school and become productive citizens. The Club operates out of its Main Club Complex, which includes classrooms, a technology center, a full-size gymnasium, a softball field, an organic garden, and a teen center, but also runs six satellite sites at area public schools. Through services provided at these sites, the Club reaches over 1,000 children each day and more than 2,700 children each year. Engaged, passionate, well-trained adults at each site provide monitored academic support, organized physical activities and lifeapplicable enrichment courses for every child. THE PUBLIC IS CORDIALLY INVITED!!!!!!!! For more information please contact Mary Jones, Chairperson Orange County Community Liaison Committee: (714) 499-8987 or (310) 608 – 5878. N.A.E.J.A. A Non -Profit Civil Rights Organization www.naeja.bizland.com. DATES AND TIME: FEB. 25 AND 26. 2011 @ 2:00PM-6:00PM. 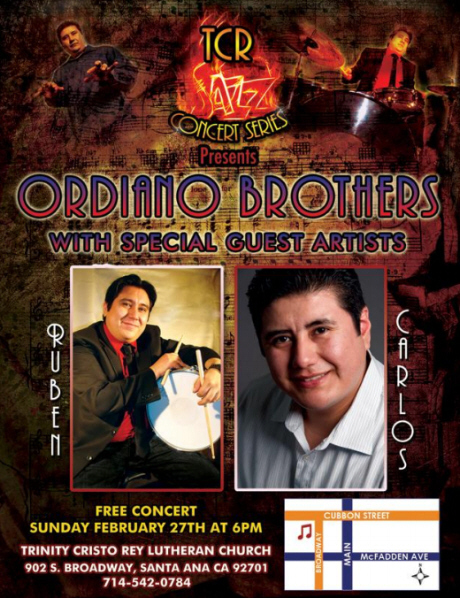 Location: 512 South Brookhurst St. Anaheim, CA 92804–LITTLE ARABIA. The Arab World Newspaper invites you to show your support for the Lybian people who are facing the tyranny of the Lybian dictator Muammar Al-Gaddafi! 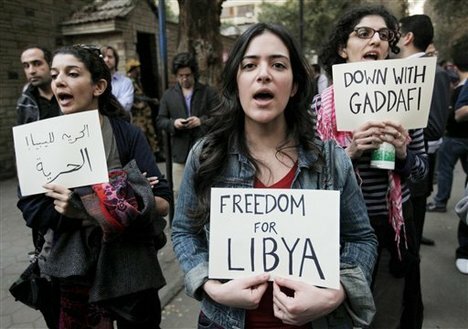 In Libya more than 800 have been shot dead in the protests against Gaddafi’s 42 years dictatorial regime. They have been using live ammunition, machine gus and last night security forces started using anti aircraft guns. Also, Jet fighters are flying all over Libya and tanks are moving down every street! they even brought snipers and foreign mercenaries to hurt people! internet is down & no foreign media allowed in. It’s a GENOCIDE! WASHINGTON, D.C. – Congresswoman Loretta Sanchez will host a free income tax assistance day event this Saturday, February 26th from 9 a.m. to 2 p.m. at the Delhi Center in Santa Ana. The event is part of a series of income tax assistance days held in conjunction with the Orange County Earned Income Tax Credit Coalition at convenient locations in the 47th Congressional District. To schedule an appointment for this Saturday, please call the Congresswoman’s office at (714) 621-0102. The free tax filing services will help Orange County residents claim their Earned Income Tax Credit. Constituents may qualify for the Earned Income Tax Credit (EITC) if they earned less than $48,362 in 2010, and could receive up to $5,666 in tax credits. Attached is a calendar of the 2011 community tax event dates. Appointments are necessary. To be removed from this email list please reply with the word “Remove” in the subject line. Join panelists ROBERT ENGELMAN, vice president of Worldwatch Institute and author of More: Population, Nature and What Women Want; DEE REDWINE, Director of Latin American Programs for Planned Parenthood Federation of America; and award-winning documentary filmmaker LAUREL GARRETT, as they discuss the global environmental challenges posed by the intersection of women’s health, reproductive choice, and world population. Individual Tickets: $45. Click here to buy your tickets. Lunch and valet parking are provided! 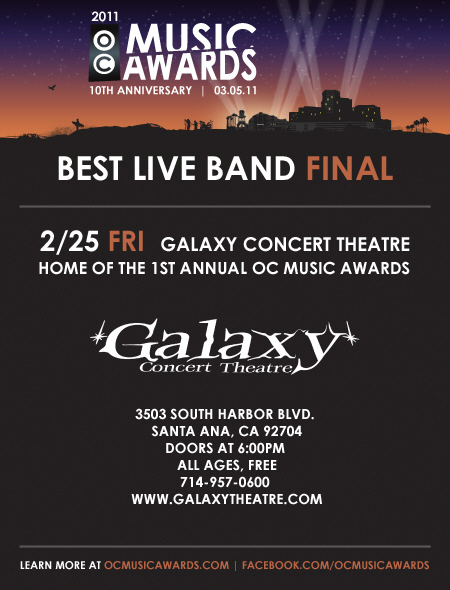 The 2011 OC Music Awards – Best Live Band Final is set for this Friday, Feb. 25, at 8 pm, at the Galaxy Theatre, located at 3503 South Harbor Bl., in Santa Ana. Time:	Doors at 6:00pm Show Starts at 8:00pm. 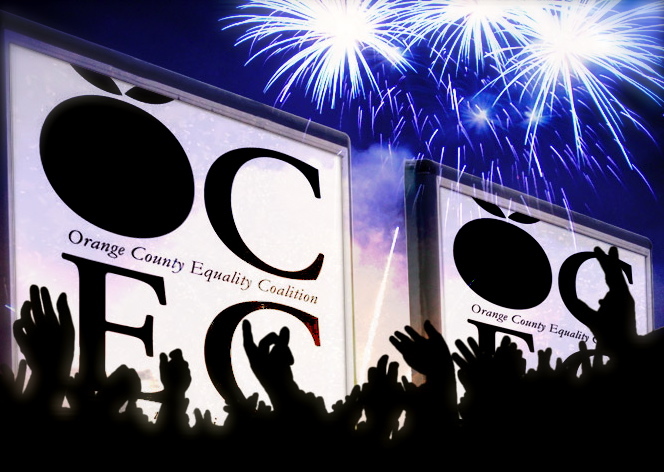 Click here to see the 2011 Nominees for best O.C. Live Band.